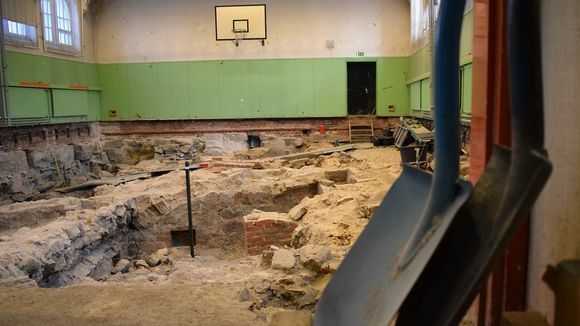 A piece of 14th century Turku under the gym floor - "Our own Pompeii"
Renovations to the gymnasium of an upper secondary school in central Turku have uncovered medieval ruins and evidence of the city's daily life during the Middle Ages. Whether or not they will be preserved for future generations is yet to be seen. A great fire spread through the old Finnish capital of Turku (Åbo in Swedish) in September 1827, destroying 75% of the city, including the medieval Cathedral Quarter and nearly all of its mostly medieval structures. The Cathedral School of Åbo (Katedralskolan i Åbo), founded in 1276, is today a Swedish-language upper secondary school. It is housed in a building dating from the city's reconstruction following the conflagration of 1827. 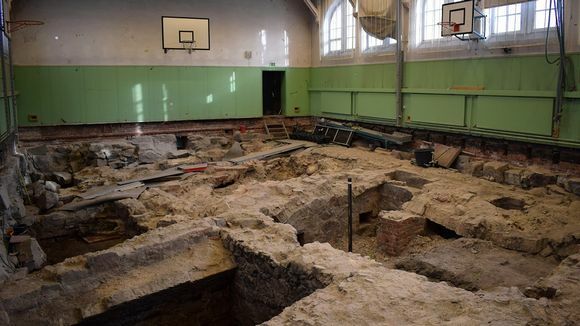 Pulling up the school's gymnasium floor during renovation work has revealed more of Turku's past - the remains of two medieval houses and a section of street. "Once again, we see that we have our very own post-Turku fire Pompeii," says local architect Benito Casagrande. Finding ruins under the gym floor did not come as a surprise to archeologists. Located adjacent to the Aboa Vetus history museum, also built over medieval ruins, the plot on which the Cathedral School stands has been the site archeological digs for the past three years. Similar remains have been uncovered in the schoolyard. It was also known from old maps that there were two upper-class stone dwellings in the area along the banks of the Aura River, just a stone's throw from the Cathedral. "What was surprising is how well preserved these are. 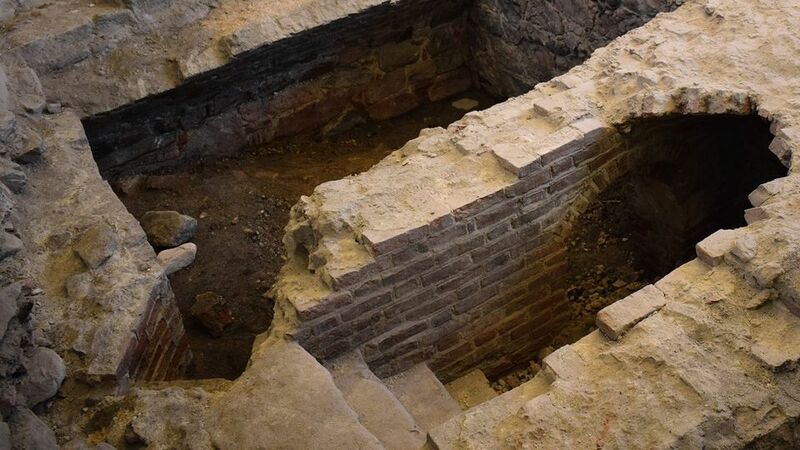 Traces of these were noticed by the archeologist Juhani Rinne when the gym was built at the beginning of the 1900s, but now the picture has come into focus," says the leader of the dig team, Kari Uotila. 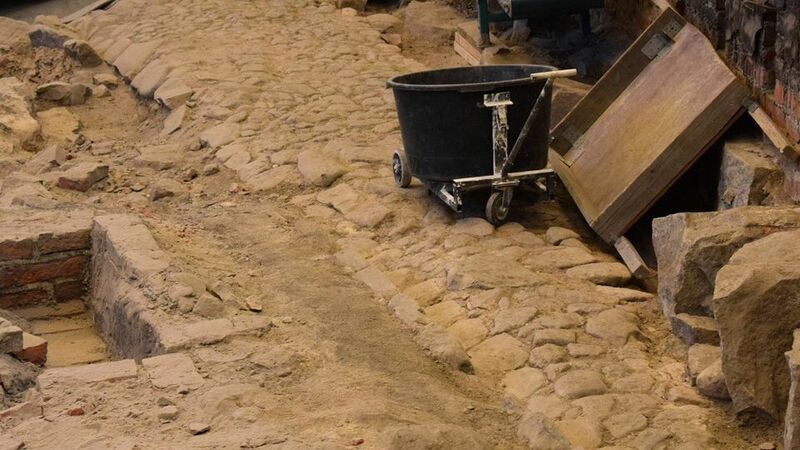 The section of street uncovered is part of the same thoroughfare that runs through and is displayed at the nearby Aboa Vetus museum. "There is a paved street in the schoolyard called Luostarin jokikatu ( "Monastery River Street"). It was flanked by two extensive stone structures, the upper parts of which have now been excavated," explains Uotila. According to Kari Uotila, this street represents one of the oldest parts of Turku. "This pavement is from the 18th century. Below that, preserved like in a time capsule are older levels reaching back to the 14th century. Last summer excavations in the schoolyard were taken down as far as the fields that were on the site before the first habitation. Uotila expects that the same strata will be found under this section of street. Hundreds of cubic metres of fill have been hauled out of the dig site, revealing the walled ruins and vaulted cellars. Now down a metre and a half into the soil, the team has reach floor level in parts of dig. According to Kari Uotila, some of the cellar vaults collapsed after the great fire of 1827. "These are 2.5 metre high vaults that were broken during the reconstruction of the city. Right now, we've uncovered about a dozen different vault structures, as well as staircases and hallways belonging to two buildings." Excavations in the school gym are to continue for another month with the goal of exposing the old buildings' floor level. After that, supports need to be installed to shore up the gym. Sections that do not rest on top of the medieval ruins have subsided into the surrounding soil. Kari Uotila points out that construction plans could change, though. "There has long been the chance that the ruins will be left here. This is why, for example, we didn't start excavating the street. That also has to be excavated before the shoring supports can be installed. We are now excavating is such a way that this could be turned into a museum, if someone, somewhere decides to do it." The problem is that the installation of support pilings will destroy the medieval structures. Local architect Benito Casagrande says that this should not be allowed to happen. He wants to see the finds preserved. Casagrande says that there are construction alternatives that can be used to straighten the school structure and build a floor that would not require pilings. The floor could be raised and a false ceiling in the gym removed, leaving plenty of space and air for student activities. "This is a terrible significant find. I think all of these well preserved ruins are unbelievable treasures which should be put on public display for people to experience. Gradually, we are understanding what a large and handsome city Turku was in the 14th century," argues Casagrande.